Marketing Director for this local institution. Managing online marketing and community partnerships for Seattle’s Child. Coordinating digital and print ads design and process. Supporting Editor / Founder with strategic organizational practices. Optimizing newsletter outcomes through content improvement and strategic fine-tuning. Advising on content and structure of new website with a focus on gaining and maintaining eyes. I the last few years I’ve used my film and voice over experience to produce, directing and co-editing short marketing films for local private schools as a piece of larger marketing packages. I plan and implement the Seattle’s Child brand (paid and earned) on Facebook, Twitter & Pinterest. Working with Capitol Cider to improve existing website content, harness existing social media presence and develop new avenues of nontraditional marketing. Building new website and managing Yelp for Business account. Managing and executing: Facebook, Twitter, Google+ and Instagram. Advising Satsuma Designs on larger brand strategy, online partnerships and online marketing (paid and earned). Monetizing Pinterest and reaching out nationally and locally to increase both B2B and B2C sales via website. Developing blog and viral marketing campaigns and advising on other marketing opportunities as they arise. Using analytics to advise owner/founder on content and implementation across all platforms. 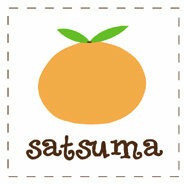 Planning and implementing Satsuma’s brand on Google+, Facebook, Twitter and Pinterest. Implemented Product Listing Ads and PPC ads with Google Adwords as of January 2014. Established LinkedIn and Facebook pages, developed Facebook best practices, trained staff people on implementation. Managing and implementing paid and viral presence on Facebook and Google+ Business Page. Advising on web advertising opportunities. Created content and managed transition to new website for Sound Eye and Laser. Now serving as ongoing content manager. Managed Google AdWords strategy and campaigns for this Seattle-based nonprofit with a national presence. Built and executed LinkedIn Ads. Provided strategic guidance on and day to day management of many social platforms: Pinterest, Twitter, Google +, LinkedIn and Facebook. Redesigned and relaunched new, mobile responsive, WordPress site for Global Adventuress. Advising on social media approach and other online marketing opportunities to increase brand awareness. Advised on mindful growth of online marketing platforms for local catering company, Gourmondo Catering . Managed both earned and paid presence; executing social strategy on Facebook, Twitter and the newly launched two Google+ Business pages (Elliott Café: Google+) , (Gourmondo Catering: Google+), Instagram and Pinterest. Engaged two different audiences: those seeking gourmet catering for an event and corporate catering/lunches. Managed Yelp for Business pages. Advised on integration of all of the above with cafe locations, physical product, event presence and more. Continuing to support the leadership and staff on a limited monthly retainer (as of Feb 2014). Assessed branding throughout website, social media, blogs and public reviews, as well as physical office space. Improved SEO through website optimization. Managed website content. Created marketing content and campaigns to generate new client base and increase referrals for Beffa Dental. Worked with local editor/ counselor, Sharon Hazzard, to establish her online business presence. Modified beginnings of a WordPress site to client specifications. Advised on content and organization. Created WordPress site (colors, logo, etc), currently generating and revising content for private counseling practice, see Zane Behnke.com. Trained small business owner in WordPress content management. Developing PPC ad campaign with Google Adwords. (as of Feb 2014). Supported the owner of two small wine shops/ online retailer: evaluated and advised regarding use of all online media (e-newsletters and websites). Developed and implemented ongoing marketing strategies for both Pike & Western Wine Shop and Soul Wine Shop. Trained staff in best practices. Developed online marketing (paid and unpaid) campaigns; built annual campaign calendar and optimized current online presence. Advised on website content and structure. Implemented social media content for Eastlake Massage on Facebook. Developed social media platforms (Twitter and Facebook); built wordpress website for new wine importing and distribution company. Advised on and developed content for website for Vinorai. Managed all general online content and development (“marketing”) for the global nonprofit, New Course. Additionally managed all social media content, all e-newsletter content, the internship program, the contracted employees and the volunteers.